Alex: “My idea from the beginning was to break these barriers that we seem to have imposed on ourselves with new technologies, especially in large cities, to communicate directly and humanely, for me the best thing about the project is that many people are that kind of person. It was my goal. “I made several previous models. Like I mentioned before, I come from a well-known photographic school that was basically a group of photographers – many of them authorities in author photography and in the process of how to create a photobook. As I was studying the subject, I did an analysis and I started shooting constantly. I knew I needed photos and I also knew what kind of photos I wanted. Once the process of taking photos was over, the complicated thing was to select which ones and how to do it. “I printed everything I made a selection of about 200 and I started to look at the pictures for a while until I found the 109 I wanted. “From there I began to design the book with the designer, I decided to do the crowdfunding and it has become effective. A big thanks to Alex for taking the time to tell us more about his project. If you are in the area, be sure to check out the exhibits too! 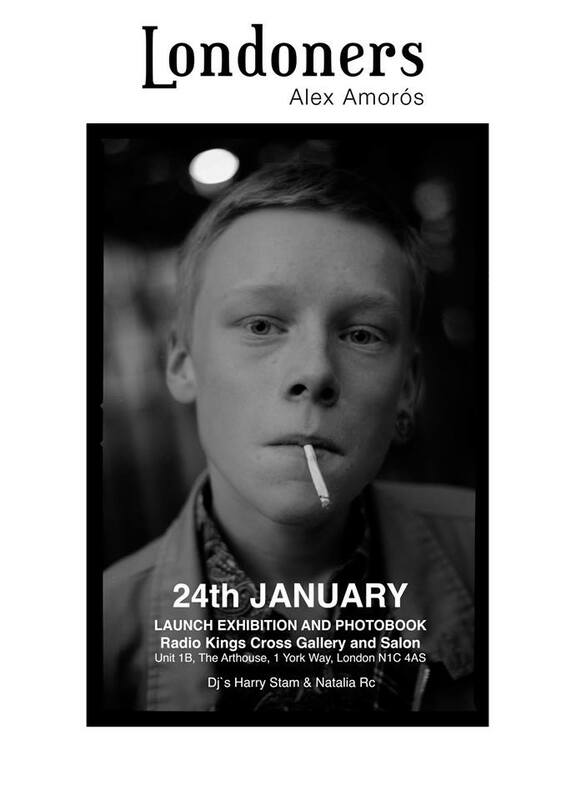 Find out more about Alex and his Londoners project by visiting his website, Facebook page and Instagram feed.